15 December 2016. In future, biobanks’ success should be measured not only by the number of samples they store – but on how many of those resources are leveraged for research projects. 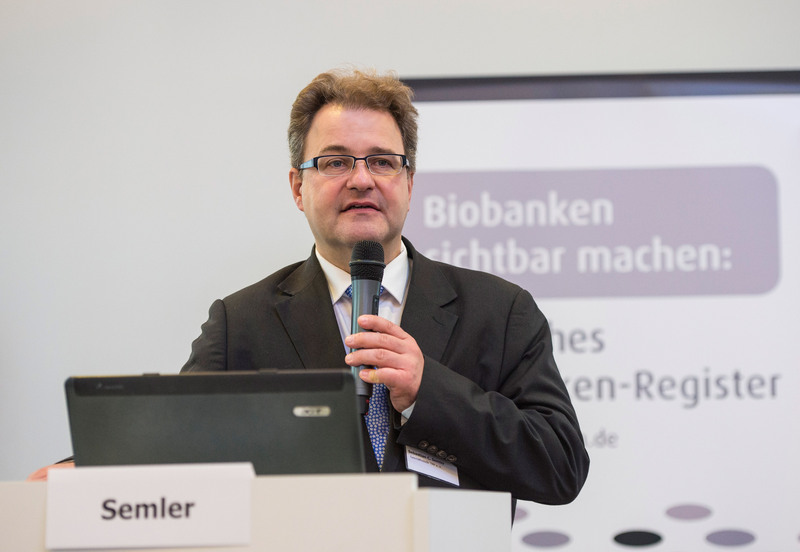 This suggestion was made by Dominic Allen, Chief Operating Officer at the Integrated BioBank of Luxembourg (IBBL), during his keynote address at the beginning of the fifth German National Biobank Symposium. The event drew approximately 250 attendees to Berlin, Germany, on 7 and 8 December 2016. Allen recounted the strides and missteps made by the IBBL over its short history. The biobank was initiated by Luxembourg’s government in 2008 to advance health and research, and to promote the nation’s economy. Allen highlighted a number of factors that have contributed to its success, including strong public funding, and the opportunity to establish IBBL as a greenfield project – i.e. it is not embedded within a particular hospital. The fact that it was envisioned as an independent legal entity from the very outset, and has its own fully operational in-house pathology services, also played a key part. However, as Allen observed, in its early stages they underestimated data-management and quality-assurance requirements. 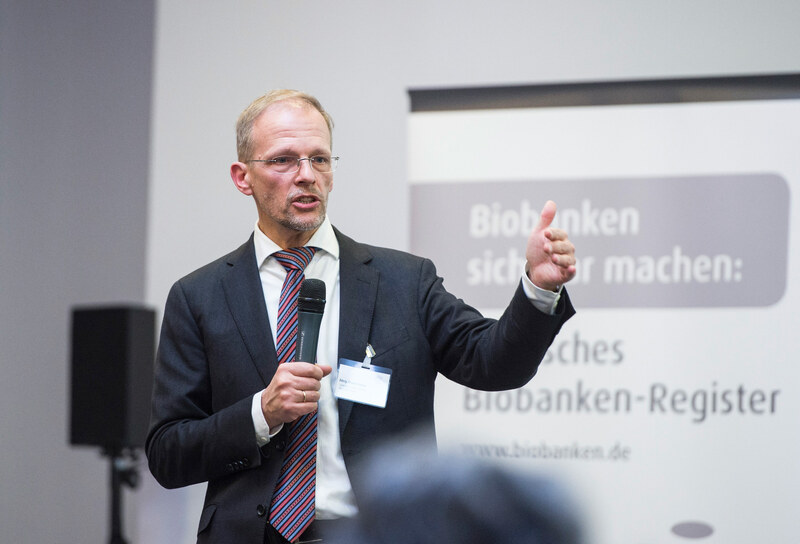 Biobanking is a nascent discipline, and Allen believes that large-scale consolidation is on the horizon: the majority of biobanks will flounder financially, and many will merge. 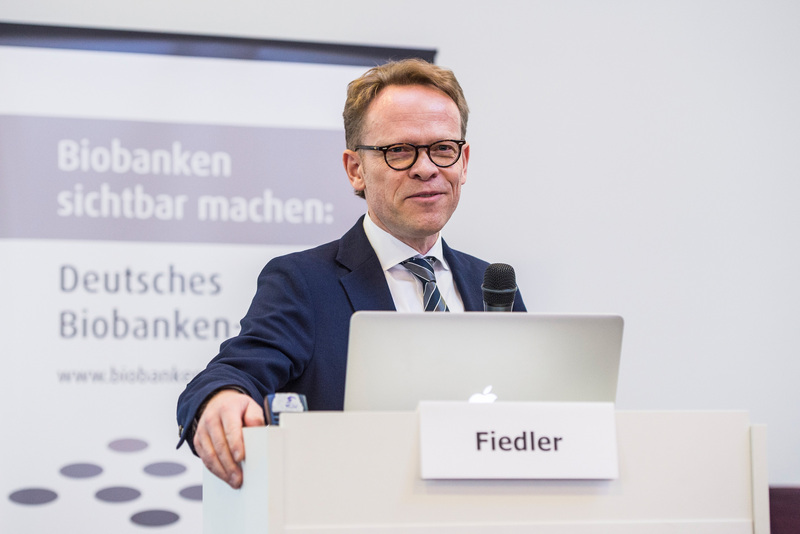 During his presentation, Sebastian C. Semler (TMF) drew attention to the German Federal Ministry of Education and Research’s (BMBF) Medical Informatics funding programme. This is supported by an organisational structure comprising a national steering committee, and a central office operated by TMF, Medizinischer Fakultätentag (MFT, an association of university medical departments), and Verband der Universitätsklinika Deutschlands (VUD, an association of university hospitals). With reference to this programme, Semler pointed out that biobanks store both samples and data – and that they are equally data harvesters, data archivers and data suppliers. 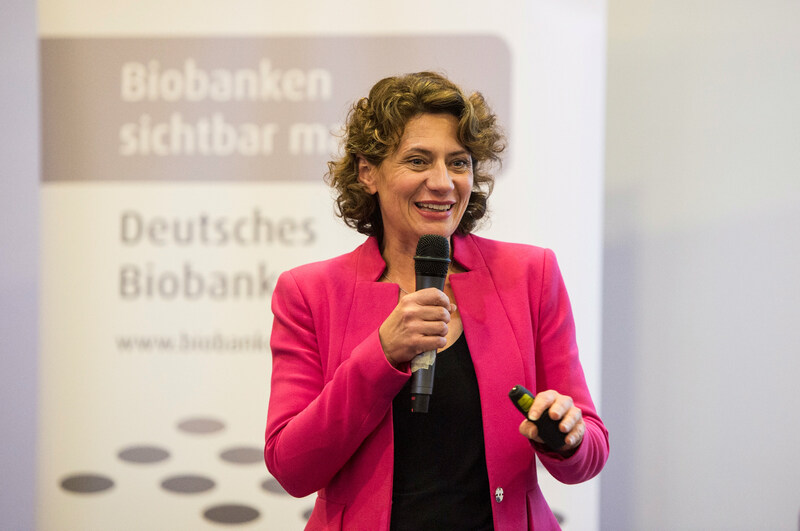 In this context, integration with biobank-related organisational structures at universities, and with the BMBF medical informatics initiative at national level, is pivotal. TMF and the programme’s support structure can ensure this happens. 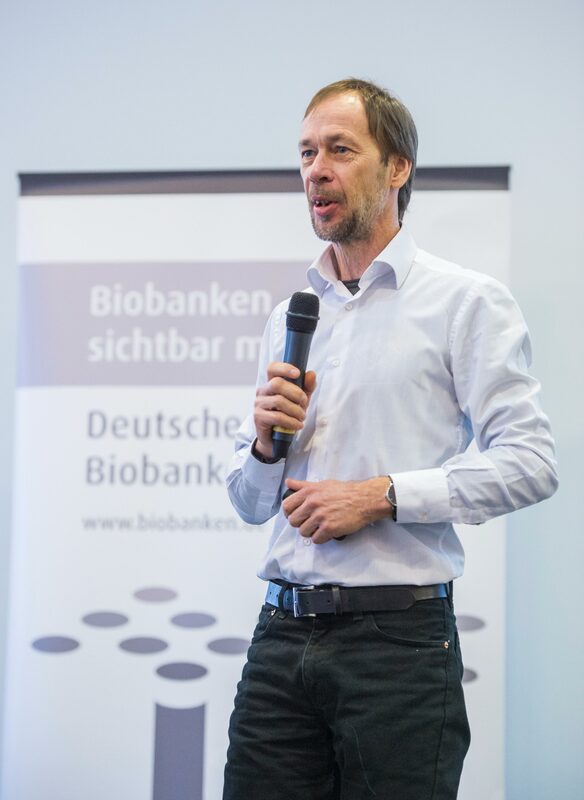 Dominic Allen (Integrated Biobank of Luxembourg – IBBL, Luxemburg): IBBL – How to get it right, and wrong! 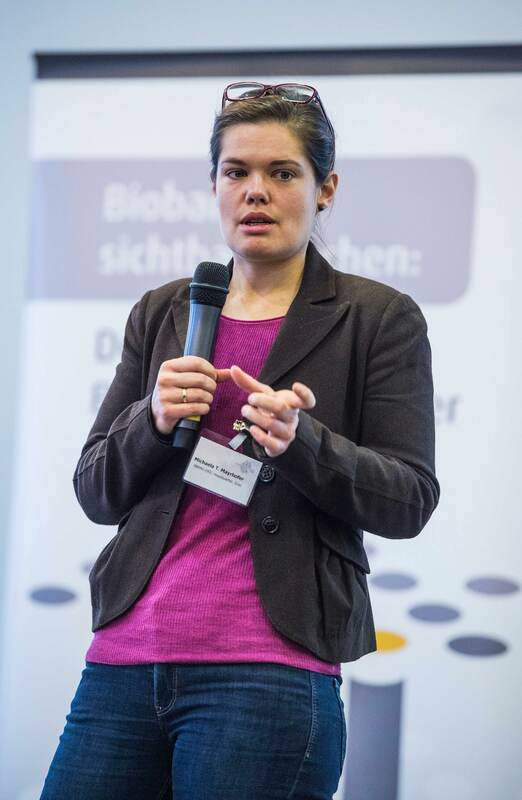 A number of other presentations spotlighted the connection between biobanks embedded in healthcare organisations and their growing role as a bridge between research and medical care. A number of attendees expressed their (benign) envy with regard to the high degree automation achieved at Bern Biobank – and its ability to place samples into the biobank within an hour of harvesting. In addition, the Interdisciplinary Bank of Biomaterials and Data, (ibdw) Würzburg is developing and testing an app intended to track harvested samples on route to the laboratory. 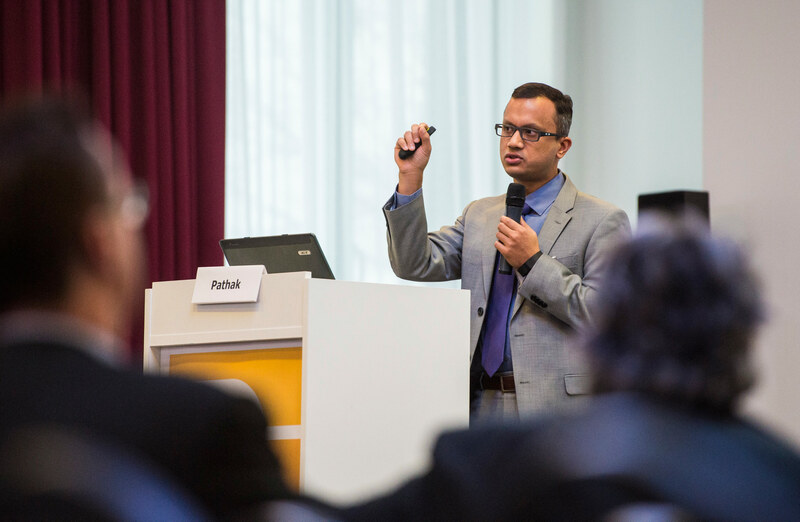 Dr Jyotishman Pathak from Weill Cornell Medical College in New York (USA) explored the role information technology will play in the era of precision medicine. Specifically, the (recently renamed) All of Us research programme – part of the Precision Medicine Initiative launched by President Barack Obama – aims to reflect the diversity of the U.S. population. Moreover, it places an emphasis on members of the public as partners: enrolment is voluntary, and participants are involved in making key decisions. For example, they help answer questions such as: what data should be collected? And what types of analysis and what research projects should be conducted using this data? How, and in what form, should findings be made available to participants? The Precision Medicine Initiative has the potential to offer a wealth of health and research opportunities – such as measuring risk for diseases based on environmental exposures and genetic factors, and the discovery of biological markers. Plus, the data and information can empower participants to improve their own health. Biobanks that house biosamples from animals could prove to be highly attractive resources for translational medicine: animals such as pigs and dogs either share a large number of their genes with humans, or have comparable lifestyles and environments – and frequently develop the same diseases. For example, pigs can be diabetic, and dogs can suffer from neurological disorders. Consequently, they are often better models for human medicine than mice, for instance. Moreover, larger animals offer more material to investigate (i.e. nerves or blood vessels). The German Collection of Microorganisms and Cell Cultures (DSMZ) stores pathogens and cell lines that researchers can request for their projects. As Professor Jörg Overmann (DSMZ) explained, central storage makes sense for a variety of reasons – for instance a research project taking place over an extended timeframe will retain access to the original stored sample for fresh aliquots. This allows researchers to avert, or at least minimise, the impact of rapid genetic changes. "We are currently experiencing a paradigm shift in our society from individual systems to networks", emphasised Professor Andréa Belliger (Institute for Communication and Leadership, IKF, Lucerne/Switzerland) during her evening lecture on digital transformation in healthcare. In this context, technology is simply a driver; a new value system is emerging that is characterised by open communication, participation, transparency, empathy and authenticity. Furthermore, Belliger called for a cultural change – including in the scientific community. Specifically, new governance models must be developed for the management and handling of data. The second day of the conference began by examining German and European biobank infrastructures. Dr Michaela T. Mayrhofer (BBMRI-ERIC) touched on the significance of ethical, legal and social issues (called ELSI issues) that – in addition to obvious technical challenges and quality aspects – are often the proverbial elephant in the room. BBMRI-ERIC is currently working to provide services dedicated to these topics. 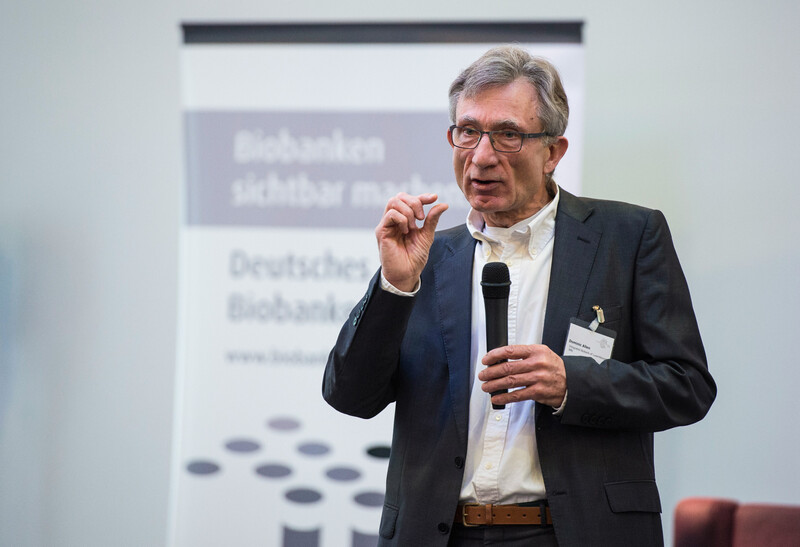 The German Biobank Node (GBN), that represents Germany’s biobanking community within the European BBMRI-ERIC network, will soon conclude projects enabled by its first phase of funding. Dr Cornelia Rufenach (GBN), Professor Hans-Ulrich Prokosch (Friedrich Alexander University, Erlangen-Nuremberg) and Dr Michael Kiehntopf (Jena University Hospital) presented the results. In an IT project, for example, a proof of concept study demonstrated that heterogeneous biobank infrastructures can be interconnected. 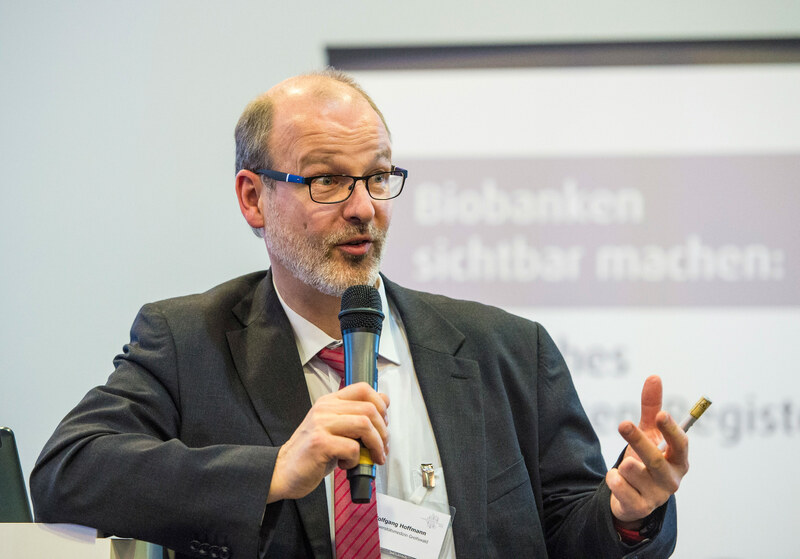 Professor Michael Hummel (Charité/GBN) looked forward to future developments: 2017 will witness the launch of the Biobank Alliance: this will establish a comprehensive network of German biobanks. In addition, plans exist to involve various stakeholders to a far greater extent, particularly sample providers and users. In all, the new Biobank Alliance funding initiative will establish a strong basis for tackling future challenges in biomedical research. The Germany Biobank Registry, supported by the GBN and other national biobank nodes in the Netherlands – BBMRI.NL – is currently being restructured. Once the project is concluded in late 2016, integration with the BBMRI-ERIC Directory will be significantly simpler. Like the pan-European Directory, the restructured system will be based on MOLGENIS. This will, for example, enable automatic data uploads. In the concluding session, a total of five speakers drew attention to ethical and regulatory issues. These included incidental findings from the German National Cohort (NAKO) study, the proposal to view and evaluate improvements of biobank governance as part of quality management – plus questions relating to study participant/patient consent for medical research projects. Industry representatives had ample opportunity to engage in dialogue at the symposium, including short presentations and in-depth discussion. The exchange yielded multiple insights: for example, that researchers – who freeze biosamples in test tubes at temperatures down to a frosty -180°C – would like more detailed information on quality assurance measures and testing on the part of suppliers. In particular, studies on the durability of test tubes over long time periods, plus information on materials’ properties, and potential interactions between tubes and samples, would be very useful. The topic is to be revisited at the 2017 National Biobank Symposium. 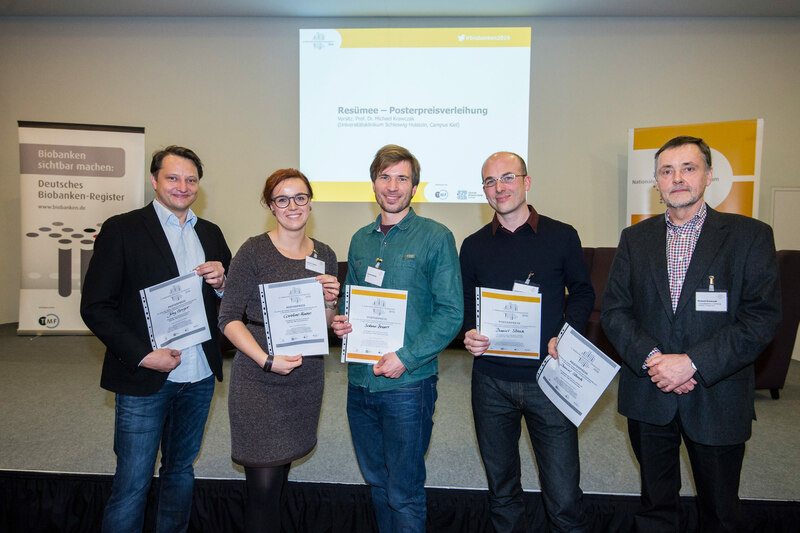 Award winners with professor Michael Krawczak LTR: Jörg Geiger (Interdisziplinäre Biomaterial- und Datenbank Würzburg - ibdw), Caroline Haase (DKMS gemeinnützige GmbH, Dresden & Tübingen), Hannes Kahrass (Institut für Geschichte, Ethik und Philosophie der Medizin, Medizinische Hochschule Hannover), Daniel Strech (Institut für Geschichte, Ethik und Philosophie der Medizin, Medizinische Hochschule Hannover), Prof. Dr. Michael Krawczak (Universitätsklinikum Schleswig-Holstein, Campus Kiel).